Hiring? 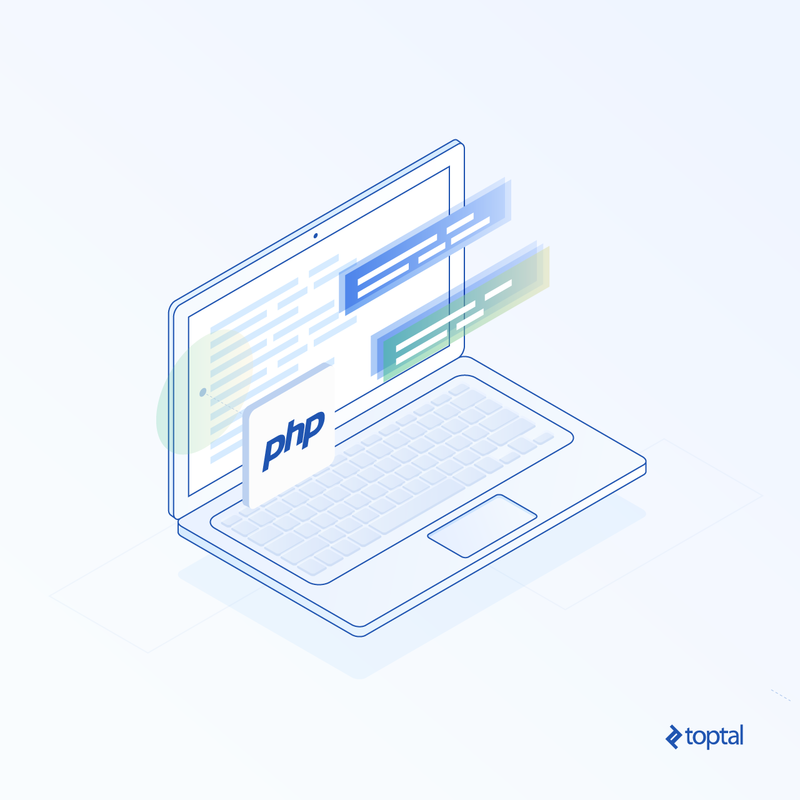 Toptal handpicks top PHP developers to suit your needs. Augustin is a Zend-certified full-stack PHP engineer with 10+ years of experience at the likes of FIFA and the European Molecular Bio Lab. I first drafted this article while studying for my PHP certification in an effort to better understand how PHP manages variables and objects in memory. After a lot of research, I realized that it was not easy to find answers to my questions, so once I had finished, I decided to document the information so that people can find it all in one place. How does PHP create objects in memory when performing a statement like $a = new Foo();? Nowadays, memory is not as expensive and limited a resource as it was in the past. However, it is still important for good PHP developers to know and understand how variables and objects are managed internally during the execution of their application. Many people say—in PHP books and online—that objects in PHP are passed by reference by default. Others say that objects in PHP are allocated by copy. To figure out which statement is correct, first we have to analyze what is (and what is not) a reference in PHP. What Aren’t References in PHP? More important than knowing what references are in PHP is knowing what they are not. In PHP, references are not C-style pointers; you cannot do arithmetic operations with references as you can with C pointers. Why? Because, unlike in C, PHP references are not really memory addresses, since they are not numbers indicating a memory location. But then, what are references? What Are References in PHP? Pop quiz: What happens if we execute this? Finally, let’s see how PHP garbage collection works, since it was introduced in version 5.3. An object or variable in PHP memory will be removed by the PHP garbage collector when there are no references to that object in the symbols table. That is, PHP maintains a references counter of an object from the time it is created so that during the execution of the script PHP, the counter increments and decrements that reference counter based on the variables that are “pointing” to it. 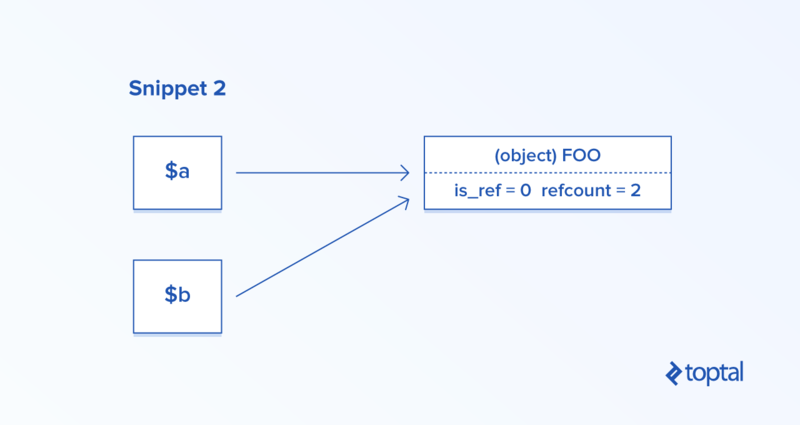 Once the reference count reaches 0 (i.e., nothing is referencing that object and, therefore, it is not being used), PHP marks that object as removable, so that in the next pass of the PHP garbage collector, it will be removed from memory, freeing that space for reuse. If you’d like more in-depth detail about how PHP garbage collection works, read this documentation. 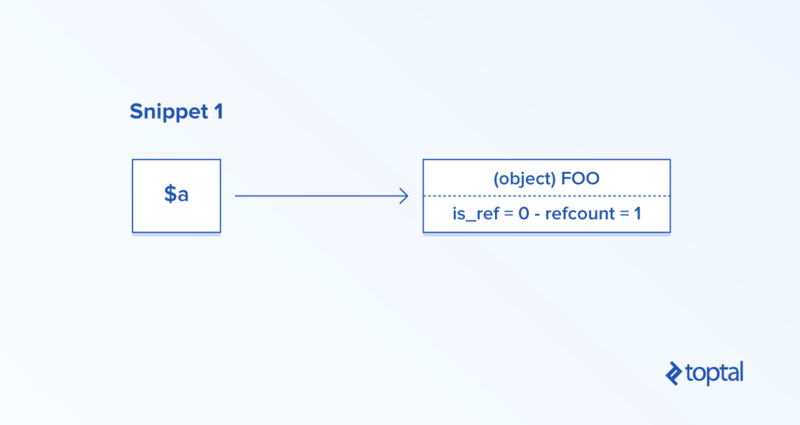 I hope I have clarified a little how PHP handles objects and variables in memory and how it “selects” the objects that should be removed by the PHP garbage collector. Now that you understand how PHP manages variables and objects in memory internally, grab your laptop and start to experiment with some code to prove what you’ve learned. Try playing around with variables and references. Also, experiment with how changing the value of a variable could affect the value of another referencing it. Here’s a question for you: What will be the values of $a and $b after the code below is executed? If you’re interested in reading more about PHP performance features, check out this post by fellow Toptaler Vilson Duka. In PHP, references are “aliases” that allow two different variables to read and write a single value. How does PHP garbage collection work? PHP maintains a count of references towards an object from the time it is created. When there are no references to that object in the symbols table, the PHP garbage collector removes it. How are PHP memory references stored? PHP memory references are stored in a key-value store called the symbols table. Augustin is a web developer with ten years of experience developing back-end and front-end of web applications. He spearheaded the development of a web project for the FIFA Refereeing Department and developed for the European Molecular Biology Laboratory (www.embl.de). He's also a Zend PHP 5.3 Certified Engineer. It took me less than 3 secs to find out how php manages objects. PHP official manual has a lot of material on it. 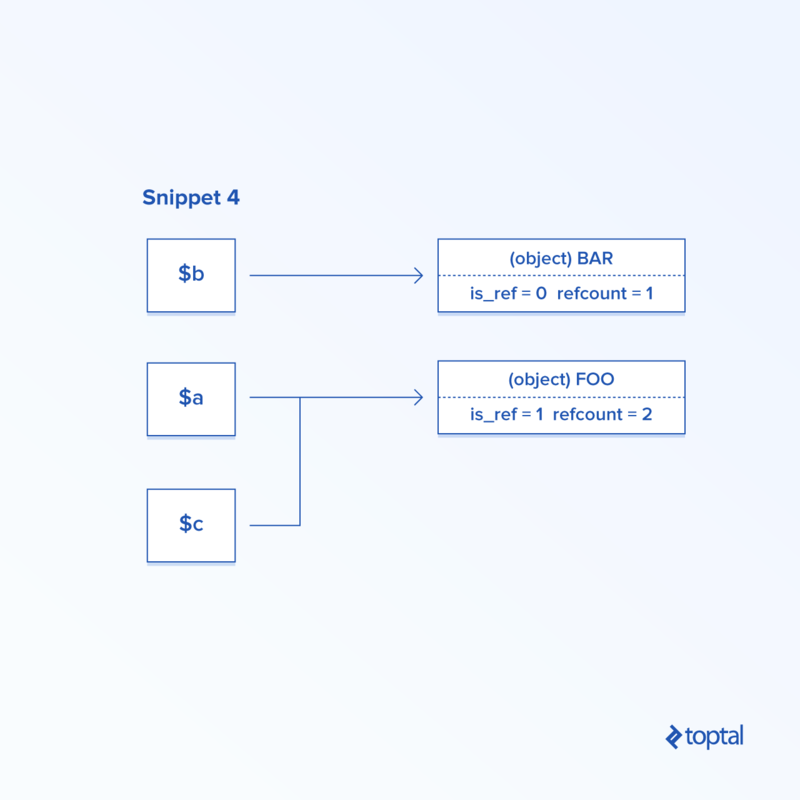 Does toptal force you to construct articles from a google search? pointer and reference in c is not same, int a = 1; int& b = a; there b is reference, int* c = &a; here it is pointer. in php there are no pointers, but there are references like in c, and they behave mostly like in c, so you should not compare c pointers vs php reference, it doesnt have sence. are you thinking then there is someone who think php reference is C pointer? i dont think so. How memory assign to variables in php? Becase php variables has not data type?